Cancun one of the top places for dental tourism. It’s actually the number one destination for Americans outside the US. Is Cancun, Mexico, the best dental tourism place for you to get your dental implants? 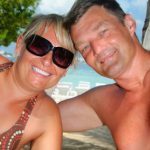 How do you choose an excellent Cancun dentist? We provide insider tips below to ensure that you get an amazing Mexican dental vacation and get the smile makeover that you deserve. Cancun stands out as your best place for dental tourism in Mexico. Your get a unique combination of affordability and, convenience for, and your dream dental vacation. In Cancun, you can save about 50–70 percent on major procedures like dental implants. Cancun dental prices are also generally on par with those in other Mexican dental tourism places like Los Algodones. Most of all, you get to enjoy some of your dental savings in paradise. According to USA Today, Cancun is the no. 1 top destination for US travel abroad. How invigorating would it be to get away from the winter, relax on white-sand beaches, and come back with a brand-new smile? But we know that you’re apprehensive about going to another country for dental work. It’s your health that’s at stake. Plus, it probably took you months, if not years, to save up money for your dental work. So you have one shot at getting this right. This post provides a roadmap on how to get successful dental work done with a dentist in Cancun. We also showcase the hassle-free dentistry you can get through working with Dayo Dental. Hint: All you have to do is arrive at the airport—we’ll take care of the rest. The key to success with dental tourism in Cancun is the boring accounting term called “dot the i’s and cross the t’s.” Research. Learn. Prepare. The more you know and plan, the more successful and memorable the trip. We’ll help you create a checklist to select the best dentist in Cancun in order to avoid surprises and learn about what you shouldn’t do. 1. Cancun has plenty of fun things to do and tourist attractions to see. Cancun is located on the Caribbean side of Mexico. It has arguably the best white-sand beaches and blue-green waters in the country. Whether you’re looking for a relaxing beach vacation, fun nightlife, or adventure parks, Cancun has it all. It’s like Vegas on the beach. You can explore numerous theme parks, like Xplor Park, or go snorkeling in numerous diving spots throughout Riviera Maya. The food is wonderful—Cancun is a gastronomical mecca for both casual and picky eaters. Seeking a nice family vacation? Do you want to stay on secluded beaches? Or do you want to splurge in all-inclusive resorts with amazing food? All of this is available for you in between your appointments with your dentist. 2. Direct flights to Cancun are numerous and affordable. Yes, there are other dental tourism options, such as Costa Rica, Thailand, the Philippines, or India. But you will spend more on flight costs. It adds up, especially if you’re getting procedures like dental implants, which require at least two trips to complete. I just took a glance at Southwest’s website and saw “Wanna Get Away” fares from Phoenix to Cancun for $211 round-trip in November. That’s even cheaper than most domestic flights. If you live somewhere on the East Coast, like Florida, you’ll find great rates due to shorter flights. Likewise, many Canadians can also find cheap, direct flights to Cancun. Most major cities in the US and Canada have direct flights to Cancun, Mexico. With Dayo Dental, you just have to arrive at the airport. We will take care of your airport pickup and local transportation to your dental clinic in Cancun. 3. You have a wide range of hotel options, from affordable to luxury all-inclusives. Cancun has hundreds of hotels for every budget, from basic, to beachfront, to all-inclusive resorts. We have many clients staying at Airbnb condos as well. There are plenty of options to choose from, and that’s just in the Cancun hotel zone or downtown Cancun. It’s generally cheaper to stay in Cancun than Costa Rica or Cabo because of the huge selection of hotels. We have helped clients stay at hotels for as low as $50 a night at a convenient location five minutes from our partner dentist in Cancun. 4. You can find dentists who are experienced and proficient at handling American and Canadian dental tourism patients. Some Cancun dentists specifically tailor their practice for US and Canadian dental tourists. They are routinely exposed to patients who seek major treatments like cosmetic dentistry, full mouth restoration, and All-on-4 dental implants. 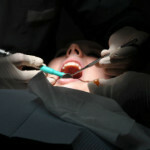 They are aware that patients can’t stay long or travel back and forth as you might be able to with your local dentist. They set up their dental practices to be fast and efficient, minimizing trips to 1-3 dental tours. Find a Cancun dentist with extensive experience in handling dental tourism patients. 5. Live on the East Coast? Cancun is the closest, most affordable dental tourism spot. Cancun is the most convenient location for East Coast patients. If you live in Florida, you’ll only need to take a 2-hour flight. The closer your Mexican dentist, the easier it is to establish a good relationship—you can visit your dentist every year or two to maintain your teeth. 6. It is safe to travel to Cancun. Is it safe to go to Cancun for dental work? We have worked with thousands of dental tourism patients visiting Cancun for the past 11 years. No one has complained about safety. There’s a reason why it’s the top destination for Americans abroad. It’s safe, fun, and convenient. In 2018, airlines are scrambling to add flights to keep up with the demand for travel to Cancun. During busy times, the hundreds of hotels in the area are fully booked—a reflection of people’s confidence in traveling to the area. Many single travelers from 18–75-years-old choose Dayo Dental because we arrange for all of your local transportation. You have 24-7 access to your dentist during your stay. And you’ll stay in a place where tourists from all over the world are enjoying their vacations as well. People from as far as Russia, Alaska, and Australia frequently travel to Cancun to get dental work. Vacation appeal Beach destination with a wide variety of things to do and places to see. Far from a beach (e.g. Los Algodones). Number of direct flights Most major cities have direct flights to Cancun. Other Mexican dental tourism locations like Los Algodones or Tijuana don’t have direct flights. Ease of travel Dayo Dental arranges all of your local transportation including airport pickup. You have to drive (bring your car or rent one) to the dental location. Selection of hotels Thousands of hotels to choose from Limited selection of hotels. Most people who go to Cancun need extensive dental work, such as full arch teeth replacement with dental implants. 1. You need major dental work. You probably won’t see a Cancun dentist for minor procedures like cleanings or fillings unless vacation is your primary purpose. Go to Cancun if you need major dental work or expensive dental procedures, such as tooth implants. You can easily justify the cost of travel, pay for your vacation, and still have plenty of savings. The ideal procedures for dental tourism are multiple dental implants, crowns, dental bridges, and root canals. Missing teeth? Cancun is also ideal for full implant teeth replacement procedures like All-on-4 dental implants, implant dentures, or full upper or lower fixed bridges. 2. You want a vacation with your dental work. Cancun has an edge over Mexican border dental tourism places, such as Los Algodones, Tijuana, or Juarez, because it’s a popular beach destination. There’s not much to do along the US-Mexico border on the Mexico side. You would just be going to dental work. If Mexican dental tourism is your goal, you might as well go to a vacation spot. Even if you’re Canadian, Cancun is a popular destination for dental tourism. One Canadian client mentioned that their entire town of Alberta goes to Dr. Carrasco for their dental work. Canadians love the idea of getting away from the cold to enjoy the warm waters of the Caribbean. Cancun is the best place for a Mexican dental vacation. 3. If you live on the East Coast, Cancun is the closest and most convenient place for dental tourism Maybe you’ve heard of Mexican dentists, but don’t know where to go. Geography and convenience are important factors of your decision. “I’ve heard lots of wonderful things about Molar City in Los Algodones,” you might say. If you live in Florida, why go to Los Algodones or Tijuana on the West Coast when Cancun is just a 2-hour flight away? Plus, you get the same access to the top 5 percent ranked dentists in Mexico if you go through Dayo Dental. 4. You don’t want to drive or deal with where to go or how to get there. Other Mexican dental tourism places like those in the Southwest require that you drive, rent a car, or ride taxis. If you visit Dr. Carrasco with Dentcare in Cancun with Dayo Dental, you just have to arrive at the airport. We make arrangements for airport pickup and local transportation between your appointments. That’s ideal if you’re getting dental surgery in Cancun, especially if you’re travelling solo. After all, you can’t really drive yourself back to your hotel after oral surgeries under IV sedation. The most important tip we can give you throughout this post is to choose a dentist, not a dental clinic. Select a specific name of a dentist who will perform the procedure, not a general dental clinic name where you don’t know who will perform the work. If you want plastic surgery, do you go with Austin Body Sculpting or do you go with the famous Dr. Cohen, M.D.? These are fictitious names to make a point: look for a specific doctor with the reputation and experience that you can trust. You need to match the level of complexity of your dental case with the training and experience level of your dentist in Mexico. You’ll have to scrutinize the credentials they present online. At Dayo Dental, we will help you peel away the hype and uncover the best dentist ideal for your case. This family from the US started with just one patient. Now, most of their family see Dr. Carrasco regularly for dental work in Cancun. No matter how you look at it, you’re going to be a special patient—a dental tourist. You probably don’t speak Spanish. You can only stay for a week or two. And you need major dental work. Your dentist in Cancun has to do everything right on your first week. There’s not much room for schedule adjustments or missteps. They have to plan your arrival and appointments meticulously, because you probably don’t want to extend your stay. That’s why you have to pick a dentist who caters mostly to dental tourism patients like you. They can complete your dental work in one week—without a hitch—because they have done it thousands of times. These types of dental clinics in Cancun have 70–90 percent of their clients coming from overseas. Not every dentist in Cancun is familiar to catering to a dental tourist. They might not be fully exposed to and trained with complex dental implant cases, since the average local patient they see is not going to be able to afford dental implants. The local dentist might not speak English, either. They might not have the resources, laboratory, or setup to ensure that your zirconia crowns are done in five days. That’s why it’s important to ask a variety of questions as you do research for your trip. Does the dentist have US training? Does the dental office meet US standards in safety and infection control practices? Language Speaks English fluently (Tip: Ask to speak directly to your dentist in English over the phone before you travel) Dentist requires an English translator to speak to you. Dr. Jorge Carrasco is a perfect example of a top dental tourism dentist. His practice is fully equipped for dental tourism patients like you who need major dental work, which comprises 90 percent of his clientele. Dr. Carrasco and his team performing full mouth dental implant surgery. The dental tourism patient travelled from Maryland for a full mouth reconstruction. Practice. Dr. Carrasco has 35+ years of experience working with dental tourism patients. He stands out because he has advanced training from the US and Europe, ideal for complex dental implant cases and full mouth restoration procedures. He is also a prosthodontist, ideal for full mouth restoration and dental implant work. Preparation. Dr. Carrasco analyzes your x-rays before you arrive. He’ll provide you a detailed estimate so you know the dental cost and proposed treatment plan. He’ll even talk to you over the phone before you travel to answer your questions. Once you agree with the proposal, Dayo Dental will start blocking times for your week-long trip. The dental office will order the dental implants and materials needed for your dental case. The stage is set. Just like playing in an orchestra, timing is crucial. All of the staff and support services are on cue the minute you arrive. You get picked up by a chauffeur when you land at the Cancun airport. The next day, you get picked at your hotel to meet Dr. Carrasco at Dentcare Cancun. Dr. Carrasco will confirm all of the estimates by taking a new x-ray or a CT Scan. He’ll block at least two hours with you to spend enough time discussing and going over your dental case. As necessary, he’ll sit down with you and a general doctor for a physical checkup if you’re having major dental implant surgery in Cancun. Need even more personalized service? He may even drive you to the doctor himself. Dr. Carrasco gives you an office number or his personal cell phone number so you can contact him 24-7 during your stay. The music begins. Everyone is ready. The dental laboratory and all of the anesthesiologists, support dentists, and assistants know your case and how long you’re staying. Everyone knows time is of the essence. Dr. Carrasco works on your case with complete focus and attention. At times, you’re the only patient at the dental office because the entire dental staff is focused on your dental work. The finale. Dr. Carrasco sees you again for a final checkup. All the crowns are sealed. Your dental implant surgery went well. You get your final written post-procedure instructions. He’ll tell you to call him for any questions in the future. Dr. Carrasco is one of the most popular dentists in Mexico for dental tourism. Unfortunately, he only has so many spots for these week-long appointments. He limits himself to 3–5 dental tourism patients per week to maintain this type of high-end service. If you get to be one of the lucky ones to get an appointment with Dr. Carrasco, you’ll know why so many people rave about him. It’s a dental experience unlike any other. It’s warm, personalized, one-on-one, and superior dentistry. It’s music by an exceptional conductor. Bravo! Prosthodontist—for cosmetic dentistry, full mouth crown restoration, and full mouth implant work. Prosthodontists in Cancun typically complete the entire dental implant process from the dental implant surgery to the final teeth installation. Periodontist—for gum disease, oral surgery, and dental implant work. Periodontists typically do just the surgery portion of your dental implant work. They then work with other dentists to finish the crown or prosthesis installation. Oral and maxillofacial dentist—for specialized surgery of the jaw, such as jaw reconstruction due to accidents. Orthodontist—for braces. However, dental tourists don’t normally travel to Cancun for braces because they require a series of adjustment appointments for 1–3 years. Pediatric dentist—for dental work with children. Your dentist is applying to do your job. Screen his credentials for training in the US, Canada, or Europe. The most advanced technologies and the latest techniques come from these countries. Top dentists keep up with the latest advancements in dentistry to ensure that you get the best possible result. Having regular continuing education is a standout qualification for a Cancun dentist because unlike in the US, it’s not required in Mexico. It shows that they care about being the best and keeping up with the latest advancements in dentistry. Finding someone with training is especially important when it comes to getting implants done. Any dentist who takes a short, one-week course can claim that they place dental implants. But do they have the experience for your particular dental implant situation? Dental implants are true surgical procedures that require extensive training, mentorship, and experience. This is especially true for complex cases such as full mouth restoration using dental implants. Dental implant books are thick, one-thousand-page books. Unfortunately, some dentists claim they can do implants but haven’t even cracked open a book about dental implantology. Dr. Jorge Carrasco is an example of a dentist who can handle complex cases in Cancun. He has been installing dental implants since the first mass market dental implants arrived 30 years ago. He has extensive training both in the US and Europe and has installed over 8,000 dental implants in his career. You may be able to get away with a newbie dentist for simple molar dental implants. But if you need front teeth implants, let alone full upper or lower jaw implant dentures, be strict and know the credentials of your particular dentist who will be doing the work. Note that any training obtained has to be recent enough and specific to the procedures you need. Your dentist is clearly behind if they haven’t attended any sort of training within the past 10 years. We rely on online reviews to make decisions now more than ever. We also know that online reviews are easily manipulated. The trick is to be savvy at scrutinizing any reviews you come across. Even reviews of dentists in the Dayo Dental Network, which include some of Mexico’s top 5 percent talent, are thoroughly examined by potential dental tourism patients. Any dentist that treats a high number of patients will equally have a high number of reviews, ideally more good and bad. Of course, of the hundreds of patients they see every year, there will definitely be a few unreasonable patients who are never satisfied with their care, so it’s unlikely you’ll find a dentist with perfect reviews. 1. Some reviews are better than no reviews. You’re looking for a dentist that is experienced with dental tourism patients, so you’ll want to see some reviews from Americans and Canadians who have done this before. 2. Any dentist will receive some form of bad reviews in his or her career. You just have to make sure that you don’t see a lot of those bad reviews in comparison to the good ones. 3. You’ll want to find a specific doctor, so search reviews by the doctor’s name. Do a thorough Google search for the doctor’s name and go beyond the first 10 results. Then do the same thing for the dental clinic’s name. 4. Real reviews provide longer details with sincerity. People go out of their way to leave reviews only if they are very happy with the service and feel gratitude for the dentist. Sincere reviews are typically longer. They provide details of the dental tourism experience. Often, they disclose their name and longer details about their dental work. Meanwhile, short reviews, like “I highly recommend this dentist to anyone” or “The dental clinic is great, excellent service,” are suspect. Seek out dentists who have more reviews that are passionate and more descriptive of the patient’s experience. 5. Video reviews provide authenticity. It’s hard to fake video reviews that show the actual patient talking about their experience, as you can see the patient’s actual emotion. It’s also very hard to get a video review, since the dental patient has to be extremely satisfied to go on camera and leave a video testimonial for the dentist. 6. When in doubt, ask your dentist about the review. Do you have doubts about a specific review? Why not call your dentist to get their perspective? Then you can make a decision with both perspectives in hand—the doctor’s and the reviewer’s. 1. Years of experience. At least 10–15 years is ideal. Of course, the more years, the better. Choose an experienced dentist for complex cases like full mouth restoration or dental implants. Your dentist must be prepared to handle these delicate procedures that require both dental surgery and teeth design expertise. 2. Recent training for the procedure you need. Do you need All-on-4 dental implants? Make sure your dentist has received recent training for this procedure. You don’t want someone inexperienced working on your dental implant case for the first time. 3. How many procedures has he performed? Ask how many dental implants your dentist has performed throughout his career. 4. Teaching, awards, speakership, and distinctive positions. Has he been a professor? Has he received awards or been a speaker at a conference? Has he held distinctive positions, such as being a president of a dental organization? These types of credentials convey excellent peer recognition.. Note that ADA (American Dental Association) Membership and most organizational memberships are neutral credentials. This means any dentist abroad with a valid license who pays the membership fee can be a member of the ADA. It doesn’t mean that they were screened further or that they are being scrutinized regularly for maintaining US standards. Do you need extractions and full mouth implants? Or can your teeth be saved with full mouth restoration using crowns? Do you want implant dentures or All-on-4 dental implants? How many root canals do you need? Consult your local dentist first before travelling to Cancun for dentistry. 1. You’ll know what types of procedures you need beforehand. Know how many root canals or dental implants you’ll need to complete your dental work. This will make it easy to spot an unscrupulous foreign dentist who is recommending procedures you don’t need. 2. You’ll know what to look for in a dentist. Will you need a general dentist or a prosthodontist? You’ll need a highly experienced implant specialist if you need complex dental implant procedures, such as All-on-4 or full upper or lower implant permanent dentures. 3. You get to compare dental costs between US and Mexico dentists. Do the savings justify traveling to Cancun for dental work? You can also get estimates from your Cancun dentist by sending panoramic x-rays done by your local dentist. Get a copy of your Panoramic X-rays from your local dentist. Submit the X-rays to Dayo Dental for pre-clinical evaluation by the dentist in Cancun. You get back some initial recommendations together with estimate prices. Verify if your local dentist can email digital copies of panoramic x-rays before you go to the consultation. Choose another local dental clinic if they won’t give those x-rays to you via email after the evaluation. 1. Panoramic x-rays: takes a snapshot of the entire upper and lower jaw in one film. 2. CT scan: creates a 3D-view of the entire mouth, usually provided to you on a CD. 3. Periapical x-rays: takes snapshots of sections of the mouth in multiple films. When it comes to dental tourism, the best x-rays to get for both price and utility are panoramic x-rays. They are also easier to attach in an email. CT scans are pricier, and you have to mail the CD to Mexico. Periapical x-rays are also not ideal for preclinical evaluations because they don’t give a comprehensive view of the mouth. Of course, if non-panoramic scans and x-rays are all you have, send them to your Cancun dentist anyway. Biting your teeth, from the sides. Peeling your lips to show both upper and lower gums. Opening your mouth, to take shots of the back of your teeth. Request estimates and options after you send your x-rays to your Cancun dentist so you can create a budget before you travel. But keep in mind that these estimates might change after your initial consultation during your first day in Cancun. You can also email panoramic x-rays or mail your CT scan CD to Dayo Dental’s US address in Arizona. We’ll take care of your pre-evaluation request. Sign up here. You should be able to confirm all your research about the dentist during the first meeting. Don’t proceed if you see red flags or have significant doubts after the initial consultation. However, once you’re in Cancun, you’re not going to have enough time to begin the research process all over again if things don’t pan out as you were expecting. Have the contact info of a backup dentist in Cancun in case your initial consultation does not go well. You want to pay for an amazing experience with a Cancun dentist. Be a smart shopper—don’t look for the cheapest price you can get for crowns or dental implants. Your dental work may be cheap at first, but it would actually cost double or triple in the long term because of rework. Even worse, you could get irreparable damage done to your teeth. It’s not worth saving a few dollars for the hassle and risk to your health. So how do you price shop for a Cancun dentist? Put quality first and price secondary. Mitigate the risk by following the advice we provided above. Fortunately, you don’t have to pay high prices to see a top dentist in Cancun, unlike in your hometown. The top dentists in the Dayo Dental Network guarantee quality equal to some of the top dentists in the US. Plus, you get negotiated preferred (lower) pricing that makes their dental prices in line with average prices for high-quality dentistry in Cancun. You are flying to another country to get dental work. Knowing your total dental cost is crucial before you embark on your Mexican dental vacation. As discussed in tip #10, send your x-rays to your Cancun dentist for preclinical evaluation. Get a written estimate with the itemized list of procedures to be done on each tooth. Ask for the total cost from start to finish, especially with dental implant procedures that require two stages. Some Mexican dentists only provide the dental cost of the first trip or stage, which could only include the extractions and teeth implant surgery. The second trip dental cost—which is the installation of abutments and permanent teeth replacement—may come as a surprise to you. Your initial estimate for All-on-4 dental implants might seem low, until you discover that it’s only half the cost. You’ll also have to pay for your upper or lower fixed dentures during the second trip. Not all dental crowns are the same. Zirconia crowns are stronger, more biocompatible, and more natural-looking than porcelain on metal crowns (PFM). Plus, you have less metal in your mouth, and the material lasts longer. With an average cost of $1,300–$1,500 in the US, Zirconia crowns are also the most expensive dental material. But Zirconia crowns in Cancun are at least half the price, beginning at $490, compared to the cost of for PFM crowns in the US or Canada at $1,100. Similarly, generic dental implants would be cheaper in cost than a Nobel Biocare or Straumann implant brand. Ensure that your dentist is using a top implant brand if you’re getting an All-on-4 dental implant quote. Why does it matter? Well, there are hundreds of implant manufacturers, so you should choose the most stable, reputable companies. Your dentist might have a problem ordering parts if you encounter problems with your dental implants in the future—especially if the manufacturer has gone out of business. You also want your dental implants to be widely recognizable anywhere. Any dentist can repair or restore your dental implants if something happens in the future. Plus, top dental implant brands perform better. You wouldn’t want to be surprised that the cheap dental implants your paid for in Cancun where generic implant brands. You’re already saving significantly by traveling abroad for dental implants. Avoid penny pinching and get the best material money can buy. Choosing a well-known company decreases the risk of complications in the future. Nothing annoys top dental tourism dentists more than when they are asked for a discount before the first one-on-one consultation. They often feel like their work is being devalued before they have even had the opportunity to present their services and justify their prices. Ask about discounts only after your dentist in Mexico has presented you with your treatment plan during the initial consultation at the dental office. Even better—try asking for dental vacation packages, especially for full upper or lower dental implant restorations. Cancun is arguably the dental vacation capital of the world. Dental tourism dentists are used to providing vacation packages just like resorts and tour providers. Besides, you might get a bigger savings with dental vacation packages as opposed to negotiating discounts that might force your dentist to cut corners and compromise on dental materials. This promotional pricing above is available through Dayo Dental. Sign up here or call 877-987-3296. You can save even more if you have local dental insurance. Call your insurance company to know what’s covered. Most American and Canadian insurance providers provide reimbursements for dental work performed in Mexico. And wouldn’t it be nice to keep the airfare portion of your dental tourism trip at the minimum? Do your offer reimbursements for dental work done in Mexico? What percentage of the cost is covered for my procedures? Do you cover dental implants? What types of documents do you need from my Cancun dentist to complete the reimbursement? Do you need pre-procedure or post-procedure x-rays? Do you have a special reimbursement form that I should bring to my dentist in Cancun to complete? Tip 17: Is it worth getting dental care in Cancun with the travel cost abroad? Even with two dental vacation trips to Cancun, you still save $30,280 on your full mouth All-on-4 dental implants. “I’ve been to many dentists in the USA whom I’ve always felt ripped off and not so comfortable. I needed two root canals and two crowns ASAP. USA [dentist] wanted $7,500 so I went online and found Dayo Dental and within a few days they found me a dentist and a safe place to go. I had searched many dentists in Mexico before finding Dayo Dental. Everyone there was super friendly and responsive quick with emails and phone calls. Within about a week or so they found me amazing dentist in Cancun—Dr. Carrasco—who was amazing. The USA quoted me over 20k for all my dental work. For $3,000 including sedation I was able to get three crowns and two root canals. In addition, I got all my mercury fillings out safely and replaced. All for $3,000. They provided all the taxi drives and airport pick up and drop off. All included in the services. I felt safe and looked after the whole time I was there. Got to explore Mayan temples, lay on one the most beautiful beaches, and have adventures in between the dental appointments. So for $5,000 I had a vacation and all my dental stuff done and saved $15,000. Proper timing and scheduling is crucial for getting a dental vacation abroad. After all, you’re flying hundreds of miles on leave from work. You probably can’t extend your trip if something doesn’t go as planned. Therefore, it’s important to find a dentist in Cancun who is highly experienced in working with dental tourism patients like you as we emphasized earlier in this article. Monday: Consultation and first appointments. Friday–early Saturday: Work is completed. Keep in mind that you may have to stay up to 10–14 days for more extensive dental surgeries or full mouth restoration. Dental Crown 5 days Preparation and impression on the first day; final crown delivery after 5 days. Your Cancun dentist may require more time for work done on 10 or more crowns. Root Canal 1 day Root canals are normally completed in one day. You will need to stay 5 days total for a root canal and crown. Veneers 5 days Preparation and impression on the first day; final veneer delivery after 5 days. Single Tooth Dental Implant 2 – 5 days Evaluation and implant surgery the same day or next day. You go back after 4 months for your implant crown. Dental Bridge 5 days Preparation and impression on the first day; final fixed dental bridge delivery after 5 days. Full Upper or Lower Dentures 5 days Evaluation and impression on the first day; denture delivery the next day. Extractions 1 day Single tooth extractions are usually performed right after the consultation. Full mouth extractions require at least 2 days of stay. All-on-4 dental implants 7–10 days First day evaluation; surgery the following days. After 4 months, you go back for your permanent fixed bridge. Full Upper or Lower Implant Supported Dentures or Fixed Hybrid Bridges 7–10 days First day evaluation; surgery the following days. After 4 months, you go back for your permanent denture or fixed bridge. Periodontal Deep Cleaning / Open Flap Surgery 1–2 days Your periodontist starts the deep cleaning right after the consultation. * You may have to fly a day earlier or leave a day later to have full days during the required days of stay in Cancun for your dental work. Cancun has an overwhelming number of options for fun and vacation activities. You may be staying in an all-inclusive resort where they give you unlimited food and drinks. It’s tempting to party and celebrate that you are finally getting rid of all those terrible pain-causing teeth. After all, what good is a dental tourism trip without the tourism portion? You might even get tempted to pre-book exciting adventure tours or day trips before you go travel to Cancun, but you have to prioritize your dental appointments. A lot of things can change after your initial consultation. Your Cancun dentist may require extra appointments or change your schedule based on the results of consultation, even if they meticulously scrutinized the x-rays you sent for pre-evaluation. The two of you might agree on a different treatment plan. They might see something they couldn’t see on your panoramic x-rays when they take a CT scan. You also need to stay in good health if you’re getting something like IV sedation surgery done. You can’t drink the night before and show up hungover for the surgery. Drinking will also lower your immune system, which you’ll need for faster recovery. You can certainly start researching thing to do or places you want to see. But don’t book trips to Chichen Itza or Isla Mujeres just yet. Wait until after your initial consultation to determine your free days to explore, since you’ll get free days in between your appointments to do whatever you’d like. Besides, you will probably get better deals for these trips if you shop for them while you’re in Cancun. Ask the clinic staff there for advice on tour deals and recommendations. Coordinate with the dental office if you really need to pre-book activities before you travel. You may not want to use all of your vacation time in one trip. Or, you may want to purchase a 4-day vacation all-inclusive package. Or, you may decide you simply don’t want to stay that long. You may be tempted to demand that your Mexico dentist finish your dental work within a set number of days, fewer than what the dentist is asking. Consider the experience of a family of eight who contacted us to get dental work done in Mexico. Three of them needed full mouth restoration with dental crowns, two needed major All-on-4 dental implant work, and the rest needed crowns and fillings. They demanded to have their work completed within a one week trip, else they would take their business somewhere else. The family was advised of the difficulty of meeting their requirements without rushing, but in the end, they found a dental office in Costa Rica who promised to close their dental office exclusively for them. In reality, the Costa Rican dental group probably had to get an extra set of inexperienced dentists, rush the lab work without time to check the seals, and perform the All-on-4 implant surgeries while skipping proper planning and health checks. The Costa Rican dentists probably had no choice but to simply hope for the best as they sent the family back home. This is not how you should do it. Dental tourism dentists in Cancun are aware that you can’t stay very long. They have optimized their required length of stays and number of visits to ensure they can perform procedures in the least amount of time but without rushing. Also, ethical dentists would rather turn down your business than compromise on quality, so don’t demand a rushed process—only you will lose out in the end. Always pre-schedule all of your dental appointments before you travel, and block time out for the completion of any necessary procedures. A good way to make sure you have as much time as possible is to have the first appointments on a Monday morning. This will allow the dentist to better plan the rest of the week with you. It also gives your dentist and dental lab all week to work on your case. If you arrive in the middle of the week, you would then have to stay into the weekend to complete your dental work. You would also lose a day because the dentist and their laboratories don’t work on Sunday. Do you have a specific medical condition that requires doctor clearance before oral surgeries? Get medical clearance from your local doctor or specialist before you go to Cancun for extractions or dental implants. Conditions such as previous heart surgeries, cancer, diabetes, and other blood diseases require medical clearance from your doctor. 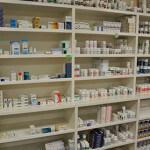 Similarly, you may need to take medications, such as antibiotics, if you had knee or hip replacements. Follow your doctor’s advice. You wouldn’t want to travel abroad only to find out that your Cancun dentist can’t proceed with the procedure because of your current medical condition. Additionally, avoid taking blood thinners three days before any surgeries. This will help you avoid delays and cancelations. Cancun has some of the best all-inclusive resorts in Mexico. All-inclusive means you get accommodation, food, and drinks included in your hotel stay. Some of these all-inclusives provide a lush experience to wine and dine—some even have several free gourmet restaurants inside the hotel for you to enjoy. Unlimited food and drinks on the beach—talk about a real vacation! However, these all-inclusive resorts can be pricey—they range from $160–$500 a night in the Cancun hotel zone. It gets even more expensive during busy months, such as December or March. Are you traveling on a budget? Here’s an insider travel tip few people know about: stay at a budget hotel and get a day-pass at an all-inclusive resort. A handful of resorts in the hotel zone offer day passes for you to enjoy all of the resort’s amenities, including pools, the beach, food, and drinks. The day passes range from $30–$60 per day. With a day pass, you avoid having to pay the all-inclusive hotel premium every day of your stay. The best part is that you have more flexibility to choose where you want to spend your day instead of being stuck in one resort. You can also venture outside the hotels to try the local restaurants. Downtown Cancun and the Cancun Hotel Zone are popular places to get dental work. The are 15-25 minutes from the Cancun Airport. 1. The Cancun hotel zone: This strip is where you will find hundreds of hotels right on beach. It’s still 15–25 minutes from downtown, the airport, and Dayo Dental’s partner offices. 2. Downtown Cancun: Most Cancun dental clinics are located in the downtown area, including Dayo Dental’s partner dentists. The locals also reside in downtown Cancun. From here it’s still 15–25 minutes from the airport and the hotel zone. You’ll find cheaper hotels in downtown Cancun because they don’t have the beachfront location, but don’t let that get you down. Many parts of downtown Cancun are still nice and fun. You’ll also find a big selection of affordable local restaurants from some of Cancun’s best chefs. 3. Riviera Maya: Riviera Maya is further south of downtown and the hotel zone. It includes places like Playa Del Carmen, Cozumel, Tulum, etc. 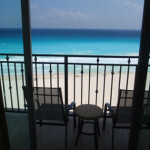 The places to stay are anywhere between 40 minutes to 2.5 hours from the hotel zone or downtown Cancun. Playa del Carmen is about 1.5 hours away. Aside from Playa del Carmen, the Riviera Maya offers a more “away from it all” experience. Almost every place in the Riviera has its own unique experience or theme. You’ll find thousands of hotels, from “eco” hotels that offer the off-the-grid experience, to over-the-water high-end bungalows like Bora-Bora. But let’s stay focused—your primary goal is to get amazing dental work. Stay in downtown Cancun or the hotel zone to easily go back and forth to your dental appointments. Dayo Dental offers free local transportation back and forth to your hotel if you stay in these areas, so you won’t have to worry about getting taxis or knowing where to go during the course of your stay. You may be able to save money by staying in an Airbnb, especially if you’re staying longer than required to have your dental work done. The ability to cook your own food is the biggest advantage of an Airbnb. There are also a lot of Airbnb condos that have nice beach views, something you would have to pay a premium for at a hotel. Plus, you may get better deals if you’re staying for more than a week. Airbnbs also offer more space for bigger families. If you decide to go this route, find a place close to a grocery store for added convenience. Cancun has plenty of Airbnb condos as an alternative to hotels. This is ideal for longer dental trips, traveling with a big group, or if you prefer to cook your own food. Off-season in Cancun is May to mid-November. They also call this “hurricane season,” although hurricanes are rarer in Cancun than in Florida. Traveling in the off-season gets you better deals on airfare and hotels. Plus, your Cancun dentist won’t be as busy. Book your dental work in Cancun during off season. Not only are the hotels and airfares cheaper, but also the beaches are less crowded. Dental implant work will require at least two trips. The implant process is the same with any dental tourism dentist abroad. Sometimes it takes three trips to complete dental implants if your bones aren’t strong enough to support tooth implants after extractions. With this in mind, it’s better to save the more expensive touristy activities and hotel stay for the second trip when you won’t be having surgery. After all, you won’t really be able to enjoy all of the resort food after an implant surgery. Not to mention, going swimming right after oral surgery is sure to not be a pleasant experience. This doesn’t mean you can’t enjoy Cancun the first couple of days before the surgery. But on the second trip to Mexico, you can better enjoy the vacation aspect of your dental tourism excursion. You can splurge as you celebrate a new beginning in your life—having the amazing, perfect Hollywood smile you’ve always deserved. 1. Taxis/Shuttles: Unfortunately, there is no Uber in Cancun. When getting a taxi, ensure that either the taxi meter is down or you can negotiate the price before you ride. You want to avoid getting into a taxi and getting overcharged because the taxi driver thinks he can take advantage of you. Buses run along the Hotel Zone to Downtown Cancun on a regular basis. It’s a good alternative to taxis. And it cost only $1. 2. Hotel Zone/Downtown Cancun City Bus: There are buses (called Routa) that run through the hotel zone and downtown Cancun. It leaves every 10 minutes and has all the stops you need. 3. ADO: These are buses you can take to further locations like Playa Del Carmen. The buses are comfortable, and the fares are affordable compared to taxis and private shuttles. You can also ride these buses to the airport and to tourist spots along the Riviera Maya, such as Playa Del Carmen. 5. Rental Car: Rental cars are another option, giving you more flexibility to explore other areas of Cancun and Riviera Maya. Keep in mind that you will be required to purchase the daily car insurance locally if you rent a car in Cancun. Also, only use international rental car brands, such as Sixt, Hertz, or Enterprise. Don’t get tempted by cheap rates from unfamiliar brands. In my experience, they recover their money through high car insurance or they give you a really small, crappy car. As mentioned earlier, choose dental tourism dentists who offer local transportation. This includes round-trip transportation between the airport and your dental appointments. This will save you a lot of time and hassle. If you work with Dayo Dental, you’ll have access to this kind of convenience as long as you stay in the Cancun hotel zone or downtown Cancun area. 1. Bring a valid passport. You don’t need a visa to go to Cancun, but you do need a passport. Make sure your passport is not set to expire in six months because the Mexican customs might not let you enter the country. Note that your passport card will not work for international flights. You need a passport book. 2. Inform your bank or credit card company. Call your bank if you plan to use your debit or credit card to pay for your dental work in Cancun. It’s a hassle having to call your bank from Mexico if your transaction gets declined due to automatic fraud prevention. For small purchases, including restaurant visits, it’s better to just use cash to avoid foreign transaction fees. When I travel to a popular tourist destination, whether it’s in Europe or Mexico, I use cash mostly to avoid identity fraud scams and excess fees. 3. Call your cell phone company for roaming plans in Mexico. Your cell phone may come in handy for unexpected situations during your dental vacation. But make sure that you won’t get expensive roaming charges. Certain companies, such as AT&T, include free calls and data while Mexico, but you may still have to call AT&T to upgrade your plan. 4. Write down the name, phone number, and address of your hotel and dentist. You’d be surprised how many dental tourism patients travel to their destination without the name and phone number of their dentist because they assume they can easily look up the information on their phone. To their surprise, their phone doesn’t get a good signal in Mexico at the time they need it the most. Travel prepared. Make sure to write down this information and store it in an easily accessible place. 1. Plan your soft food diet after the surgery. Know what you’ll eat a day after the surgery. You’ll have to be on a soft food diet for a few days, so browse through your hotel’s menu beforehand, or go to a grocery store, such as a Walmart, to get some soups ready for your hotel room. Avoid wearing jewelry. Leave your valuables at your hotel. 3. Follow the doctor’s pre- and post-surgery procedure instructions I know you want to take advantage of your hotel’s free Mexican breakfast every day. But you can’t eat or drink during the day of your IV sedation surgery. If you do, surgery will be canceled. That would be a hassle, as you’re only staying for so many days. Likewise, ensure that you get a written set of post-procedure instructions from your Cancun dentist. Your dentist is a flight away instead of only a quick drive, so follow the post-surgery instructions meticulously. 1. Choose a prosthodontist for full mouth restoration using dental crowns. Crown full mouth restoration or rehabilitation involves placing crowns on your entire mouth to create a perfect Hollywood smile. It also fixes all the problems that you may have in your mouth, including balancing your bite. Consider seeing a prosthodontist in Cancun for these complex procedures. Prosthodontists undergo extra years of training for extensive crown dental work. They also have more cosmetic dentistry training to customize your teeth based on your overall facial structure. Addressing underlying problems within each tooth and your gums. Balancing your bite to prevent the work from failing in the future. Giving the best teeth color according to your preference. Designing the optimal tooth size based on your facial features. 2. Try your new teeth before you leave from your Mexico dental tourism vacation. Go hit the buffet! It’s better if you can stay an extra day or two beyond the minimum length of stays (outlined above) to give your dental crowns a test. An excellent dentist will fit your teeth nicely. But it’s always good to have a cushion for final adjustments in case you feel something uncomfortable. 3. Get post-procedure x-rays before you leave. Your new dental crowns or porcelain veneers may look great when you smile. But they need to be properly sealed to avoid failure and future problems. This is why it’s crucial that you choose only the best Cancun dentists to do your dental work. Request post-procedure x-rays as proof that your crowns or veneers are properly sealed. Periapical x-rays are the best type of x-ray to verify these seals. You can refer to your x-rays if you encounter problems with your dental crowns in the future. Bad crown dental work tends to fail from six months to two years after the procedure. 4. Bring old pictures of your younger self to show to the dentist in Cancun. Show old pictures of you with good teeth. It’s not necessary, but it’s an extra reference for your Mexico dentist to see as they design your new teeth. Downtown Cancun Nightlife. Avoid partying or drinking too much right before your major dental appointment to avoid any cancellations. Being sick or having hangover is not fun when getting dental work. Once you get out of the Cancun airport, you’ll immediately get the feeling that your Caribbean dental vacation has begun. The weather and people will be nice, there will be a warm, fresh breeze, and your hotel will be amazing. There will be lots of delicious-looking food at your hotel’s buffet, and your dollar will go a long way, so it will be incredibly tempting to begin to splurge on food and drinks. But stay focused on your goal for the first dental tourism trip…which is to get your dental work done. So be careful what you eat and drink. If you’re not used to eating oysters, avoid them until later on in your trip. Likewise, stick to a small amount of beer or wine as opposed to the mix drinks provided at your hotel. Bad luck can ruin any vacation regardless of the location, so it’s better to play it safe, at least at the beginning. After all, you don’t want to spoil your crucial visit to your dentist in Cancun just because you ate something bad. Save the adventuring for the end of your trip. Dental Tourism Patient. Yes, the patient is wearing flip flops. No worries, he just finished his dental work. He knows the doctor well already. It’s all smiles in Cancun. It’s tempting to shed your heavy clothes once you arrive in Cancun, especially if you’re coming from 20°F weather. Plus, you’re on the beach—of course it’s time to wear flip flops, tank tops, or swimwear!. However, wear shoes and a nice shirt on your first meeting with your dentist in Cancun, just as you would when you visit your local dentist. What for? Because you want to make a good impression on the first visit. Your teeth may be messed up, but you want to show that you are serious about getting a nice smile and that you’re the type of person that will be responsible enough to take care of your new teeth moving forward. If they perceive that your dental hygiene will still be a problem in the future, they’re not going to be as motivated to do a great job and go the extra mile. You are probably not used to getting guarantees on your dental work because US or Canadian dentists don’t offer explicit guarantees. But good dentists in Mexico have no problems guaranteeing their work. Ask for a written guarantee that outlines the terms of the guarantee of your dental work in Cancun. We require all the dentist in the Dayo Dental network provide you a 5-year guarantee. We also hold them accountable to follow through with the guarantee if something happens. Getting dental implants in Cancun is not the same as getting dental implants with your local dentist. Your local dentist will probably ask you to come back 1–2 weeks after the surgery for “control checkup.” He will check if the surgery site is healing well and that there are no infections. For full mouth implants procedures such as overdentures or a fixed Zirconia bridge, they also ask you to come back 4–6 weeks after for a second control check-up. You are not going to have this privilege when you get dental implants from a dental tourism trip abroad. You simply can’t take a flight for a one-day control check-up. That’s all the more reason to follow your doctor’s written post-surgery instructions meticulously. Follow the soft diet as instructed if you got All-on-4 dental implants done. You’ll avoid a costly return trip if you do. Dentistry is not a perfect science. Things can go wrong, which is why it’s important to do the upfront work in finding the best dentist to minimize any potential issues. If something does go wrong, the best thing that you can do is go back to your dentist in Cancun to repair and redo the work. This is where guarantees play a crucial role in ensuring that your dental work will be completed properly. However, you can’t ask the Cancun dental clinic to pay for the extra airfare and lodging that you would incur to go back if something goes wrong later. These are not covered by any dental guarantees. It’s part of an inherent risk of dental tourism. Cancun is indeed the best place for dental tourism if you want a nice vacation with your dental visit. However, spending the time to do all the research to find the perfect dentist can be a hassle. Dayo Dental has done most of this expert research for you, finding you the top 5 percent of dentists in Mexico you can trust. These are dentists who are prominent speakers, professors, and leading US-trained practitioners. You should also go with a company that looks out for you and helps you take care of any issues that might arise. Whether you’re getting crowns or dental implants done, you’ll get a reliable, 5-year guarantee. Plus, you’ll get local transportation throughout your visit. Sign up or call us to get an estimate or inquire about scheduling with a dentist in Cancun. Let’s start your dental tourism vacation in a Caribbean paradise!